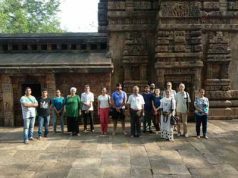 Bhubaneswar: Imperial Blue Superhit Nights captivated the audiences across 5 cities with a truly enthralling Season 4 this year. 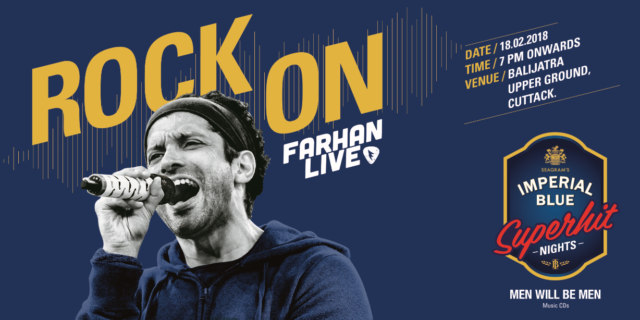 Farhan Akhtar, the extremely talented and most-loved rockstar is all set to perform for his fans in Cuttack, culminating this season of the grand musical tour. This much awaited musical extravaganza kick startedin Jaipur, rocked Indore, Mangalore and Lucknow then travelled to Guwahatiand is now all set to entertain the city of Cuttack on 18th February 2018. Larger than life, the brand new season of Imperial Blue Superhit Nights bets for a more engrossing season 4 which is no less than a storehouse of entertainment, dynamism and grandeur. The grand musical series continues to engage the audience with its magic and enigma. Farhanwill enthrallBhubaneswarwith hisspectacular performance at this musical feast.Setting the stage on fire with his energy and bewitching charm, he will be accompanied by a troupe of talented and skilful musicians. They will bring alive some of his best songs on stage including ‘Rock On’, ‘Senorita’, ‘DilChahta Hai’, ‘AtrangiYaari’, and ‘Zinda’.